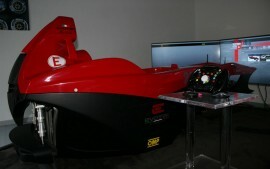 The Evotek Sym 026 is the first F1 simulator model designed and built entirely by Evotek Engineering. 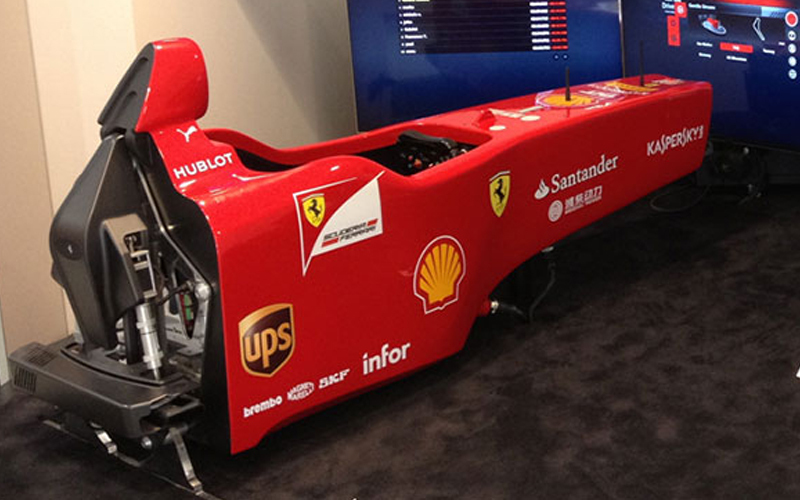 Thanks to its highly innovative hardware platform and its specialized software, Evotek Sym 026 is featured at the Ferrari Museum in Maranello and at the “Mito Ferrari” Italian Center of Shanghai Expo Park in China. The successful Evotek Sym 026 racing simulator is used by many corporate and private clients in Italy, Switzerland, Russia, Colombia, Azerbaijan, Hungary, Mexico, Turkey and United States. Price on application – For more info contact us here. Categories: Complete Simulators, Formula Style. Tags: Evotek, Evotek 026 Light Simulator. Direct Drive steering system fully integrated. Electronics cabinet h980 for the complete control of the simulator including PC, UPS, Audio System etc). Evotek motion group “A” archetype model: standard actuators. Evotek hydraulic and adjustable pedal set. Sym11 version Assetto Corsa Software. Licensed for private and public use. 1-year warranty for all the components (as in the contract). The Evotek Sym Club Edition is an innovative Open Wheeler simulator. More info soon. The Evotek Sym 027 platform is the natural evolution of the production Sym 026 system. 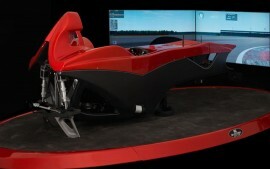 The Sym 027 is used as the basis for the “Club Edition” simulator which is the flagship of Evotek Engineering.